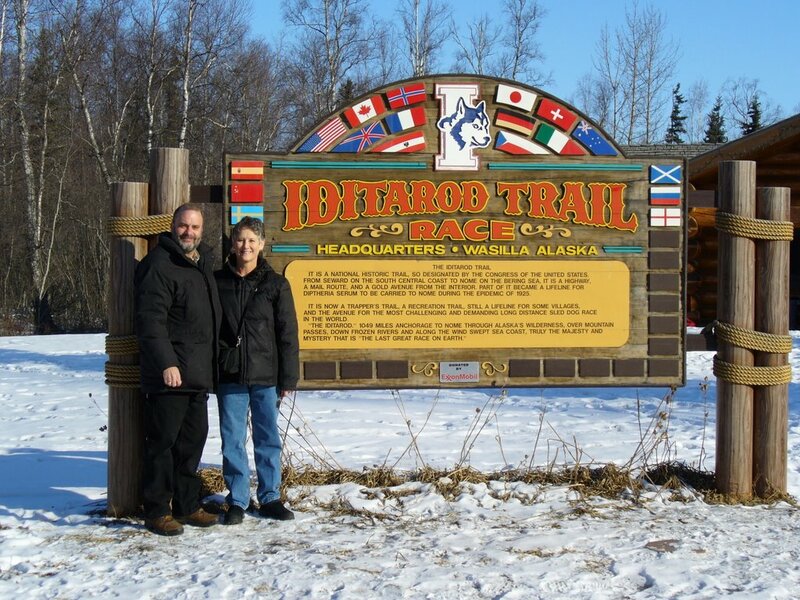 Mike and Robbi made it to Alaska! My parents picked them up at the airport on Thursday. 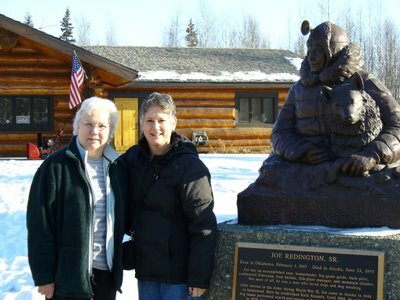 Their flight to Stebbins didn't leave until the next day, which gave them plenty of time to see some sights. 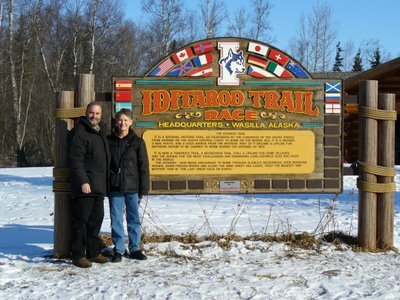 We're heading to Nome next week for the Iditarod, so they made it a point to go to the Iditarod headquarters in Wasilla. 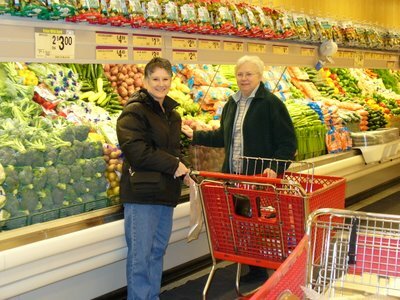 Above: Heidi's parents, Mike and Robbi. Below: My mom, Savanah, and Robbi. Above: There also was time to hang out at my parent's house. 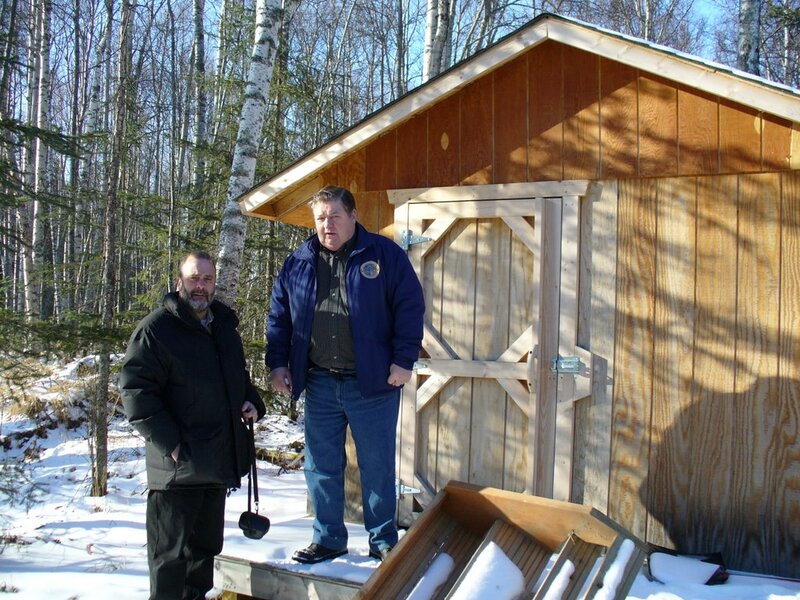 My dad Darroll, and Mike checking out my parent's sauna. I don't believe there was time to heat it up though. 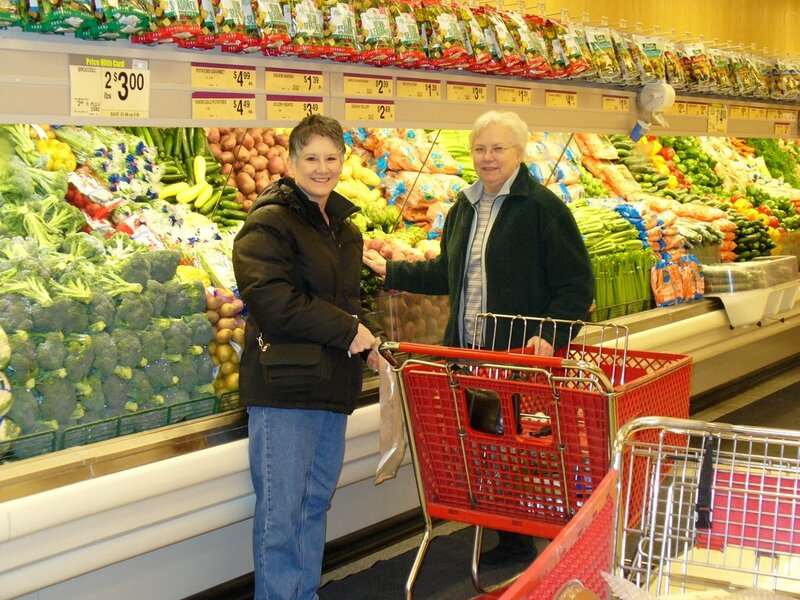 Below: Another benefit of the layover was extra time for shopping...specifically, grocery shopping for Heidi and me. Fresh produce is worth its weight in gold out here in the bush. I bought and left a cooler at my parent's house while I was in town during the ASTE conference, and Mike and Robbi brought it to us full of salad, strawberries, bananas, avocados, croissants, real milk (not powdered), and even some real chocolate milk. My parents also mailed some produce, so our fridge is packed full. Above: We met Heidi's parents at the St. Michael airport yesterday after school on our fourwheelers. I pulled a little trailer for the luggage. 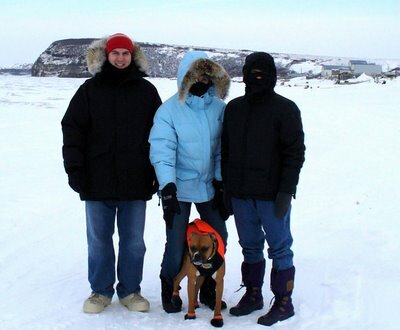 They stepped off the plane into -15 degrees plus 20 mph winds. Mike and Robbi were well prepared, with boots and warm clothes, for the ten mile trip back to Stebbins. Below: This morning was beautiful and it warmed up to 14 degrees. We all took a long walk on the ocean out to the point south of our village. Mike is wearing a beaver pelt hat that my dad loaned him for the trip.